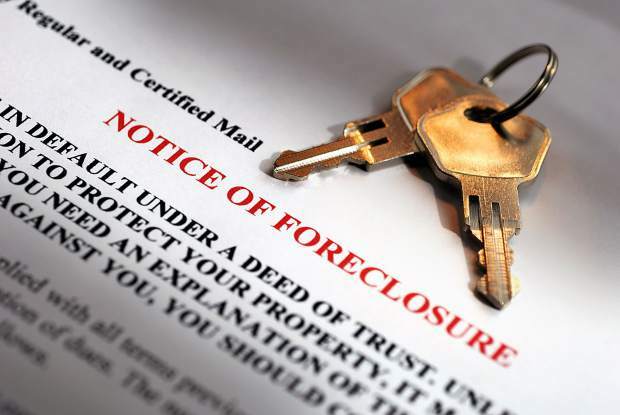 Doing strong forensic work up front can save you from the hassles of a foreclosure down the road. Buyers and Sellers do a lot of work with their Agents to find out as much as they can about the other side, and the property they are all working on. It is truly amazing how much information is available online, or by just paying attention to what is going on around you. The information can help the parties in making a buying or selling decision, or to benefit once a decision to move forward is made. The most important item to most Buyers and Sellers is price. Fair market value can be determined by looking at the sales comps and the other properties currently available for sale, but that doesn’t always dictate what the sales price is going to be. Motivation of the parties has a lot to do with the ultimate price agreed on. “Tells” that Buyers will notice include the fact that there is no men’s clothing in a married couple’s home. Could be a divorce, or a job transfer, but either way there can be a level of motivation, or lack thereof, stemming from the domestic situation. Homes that are obviously overcrowded or too spacious for the occupants can be an indicator of a need/want to move sooner than later. Buyers arriving at the four bedroom house with all six kids in tow is an example of how Buyers can reflect motivation to Sellers. Many homes have unusual characteristics. It is amazing how many times Buyers and Agents are looking at a feature wondering what it was doing there. Solving these mysteries can be fun for Buyers and their Agents. These can be an odd placement of a concrete pad in a yard, multiple electrical plugs in a room, water run to an unusual location, etc. Knowing that the owner was a photographer with a darkroom, or a computer tech, would help understand such things, but without that knowledge such peculiarities become topics of discussion. We once had a customer tell us about a home with a weird circular wood enclosure in the back yard. Having sold the home to an amateur astronomer years before, we knew the structure was for stargazing without disruption from the lights of neighboring houses. Periodic green posts along the perimeter of a property we saw recently was an indicator that somebody removed the panels that had comprised the fencing. Not obvious over 5 acres, but clear once observed with a critical eye. The many foreclosures and short sales of the recession have conditioned us to look for what isn’t there, what has been removed from the property. That forensic work involves looking for signs of prior installation, imprints in ground, fading or lack thereof, pipes or wiring that goes nowhere, etc. It is important that things are not only installed correctly, but if removed that they are uninstalled safely. Keep snooping. Was the furnace big enough to handle the room addition added without a permit? Is the septic big enough for the added living capacity? Two water heaters in a 2,000 square foot house? Unusual, but maybe because the original was in a closet and couldn’t be expanded? One can only surmise. Not a negative, but certainly a curiosity. Our Advice: Ask questions if you can’t figure something out about a property. The owner or neighbor may have the answers. Revealing your motivation for the buy or sell isn’t always a bad thing. It can spur the other party to act in your favor as opposed to looking at competing offers. Despite an apparent highly motivating factor, not all people are realistic about their situation, or in a position to act despite their desire to do so. Your insight may help them with perspective, talk with your Agent about what and how to disclose what you know. There’s a little Sherlock Holmes in all of us. Your forensic work may save you from a mistake, or enhance your position in a transaction. Enjoy the moment when you’ve a puzzle to solve in a house. Lisa Wetzel & Jim Valentine, CDPE, SFR, work for RE/MAX Realty Affiliates in the Carson Valley. Visit carsonvalleyland.com or call 775-781-5472 for information.